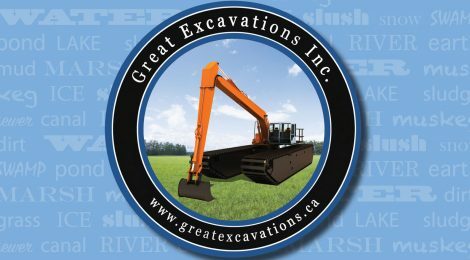 Canadian Land Reclamation Association Fall 2017 Great Excavations - Great Excavations Inc.
Amphibious, all-terrain vehicles are building a Canadian comeback. A mainstay of work on wet terrain around the world, from the swamps of Louisiana to the icy terrain of Siberia, these efficient, capable machines were developed for hard-to-access areas. Most impressive? They require minimal infrastructure. Great Excavations is notable for its use of adaptable equipment. Skierka says these machines can reach the boreal forest independently and work largely uninterrupted through the spring, summer and fall, increasing the amount of work done as well as the longevity of that work. AES is known for tailoring machines to specific tasks, such as improving northern habitats through modifications to machines slated for linear deactivation. According to Butala, this type of innovation is key to building a market for these remarkable machines. The challenge? Ensuring industry buy-in in a sector built on the winter work cycle.